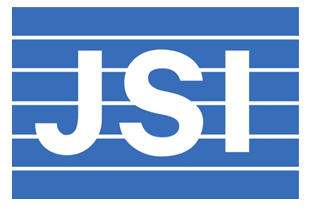 JSI is a public health organization dedicated to improving the health of people and communities in more than 70 countries. 36 years of global experience supports and informs JSI’s work in Ethiopia. Since 1994, JSI has worked in partnership with the government and local civil society organizations to support the Ethiopian government’s health and development priorities. JSI is working in all regions across Ethiopia, in urban as well as rural areas—though most projects reach the largest population groups by focusing on the four most populous regions. JSI’s focus on maternal and child health is on improving people’s lives as well as reducing childhood mortality. It has thus, implemented various projects that are designed to engage communities, support service delivery, and strengthen health systems in Ethiopia. Developing contraceptive security and supply chain management. © 2017 JSI Research & Training Institute, Inc. All Rights Reserved. L10K is funded by the Bill & Melinda Gates Foundation and implemented by JSI Research & Training Institute, Inc. The contents are the responsibility of the L10K Project and do not necessarily reflect the views of the Bill & Melinda Gates Foundation. For more information, please Contact Us.